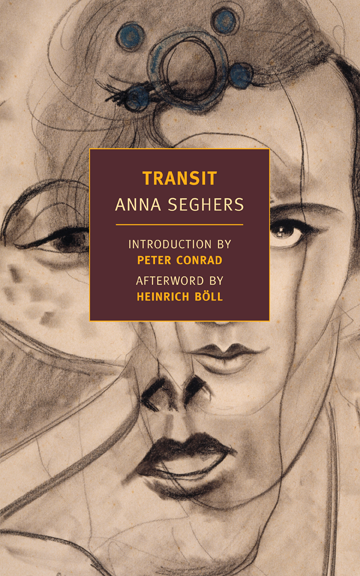 Synopsis (from Amazon): Anna Seghers’s Transit is an existential, political, literary thriller that explores the agonies of boredom, the vitality of storytelling, and the plight of the exile with extraordinary compassion and insight. Transit was a unique book about WWII. The story focuses on the plight of the exile and much of it highlights the tedium of the endless cycle of paperwork required to emigrate from Europe. While most WWII books I have read focused on the more active and violent elements of the war, Transit was about stagnation and tedium resulting from a lack of action. It is a book about waiting in the context of fear and danger spreading throughout Europe. I found the book to be interesting, but halfway through I had gotten the point and I felt rather bored with the constant monotony. The style and the repetitiveness of plot was intentional to reflect the boredom and frustration involved in the process of trying to leave: rushing from one embassy to the next, jumping through hoops, and endless paperwork and applications. But, the downside of this style was that I did indeed get bored. The Amazon synopsis described this book as a “literary thriller” but I didn’t find it particularly thrilling. Interesting yes, but not thrilling. The book is based on the author’s own experiences in trying escape the Nazis. It largely focuses on one man’s attempt to flee from the Nazis via Paris, and eventually Marseille, where he ends up trapped in a endless circle of bureaucracy. In Marseille he learns that refugees are not wanted, and the only way to stay in Marseille is by proving that you are trying to leave. Each refugee is desperate to be on the next boat that leaves, but in order to get on the boat they need various documents: transit visa, exit visa, proof of passage, and proof of refugee status. To complicate matters further, all these documents have a limited lifespan, and it is virtually impossible to have all the documents valid at the same time. I enjoyed the book and did not find the repetition boring since I found that each repetition added something new to the narrative — even it was just the realization that refugees were trapped in a Kafkaesque kind of hell. I also appreciated the romantic sideline and found humor in ways in which the protagonist’s assumed identity created confusion for all involved. Overall, Transit was a different kind of book with a new view of life under the Nazi regime. Have you read Transit? What did you think? If you haven’t read it, do you want to?